Webelos stands for “WE BE LOyal Scouts”. Webelos Scouts are Cub Scouts preparing to be Boy Scouts. The Webelos Scouts learn about Boy Scouts and may participate in Boy Scout meetings and activities. Their den meetings are typically held on evenings or Saturdays. They do not follow the monthly theme of the Pack, but have their own program. They are the oldest Scouts in the Pack and as such carry the responsibility of being good role models to the younger Cub Scouts. It falls upon the Webelos Scouts to help explain what exciting activities await the younger Cubs and to help the Cubs during Pack activities. The den is central to Webelos Scouting. Webelos Scouts take more responsibility for the running of their den. And they do more things as a den. The emphasis shifts from home-centered activities to group-centered activities similar to those they will encounter in Boy Scouting. The major goal of Webelos Scouting is to give the Scouts a taste of what it is like to be a Boy Scout and to get them use to how Boy Scouting is structured. Webelos Scouts learn that it is their responsibility to earn their activity badges. 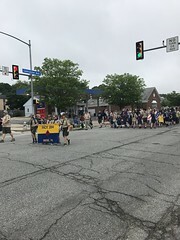 They are helped by their den leaders and Activity Badge Councilors (adults who volunteer to host an activity badge) and it is the den leaders who pass the Webelos Scout on the requirements. Parents play a new, more supportive, and less directive role with Webelos Scouts. 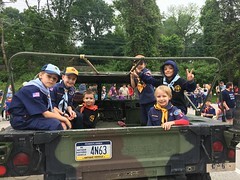 The den conducts some projects that can be credited towards the ranks and activity badges that the boys earn, but not all of the requirements are addressed at den meetings. This is deliberate. 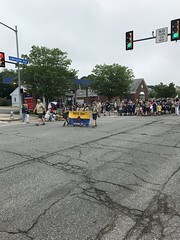 The Webelos Scouts learn that if they wish to advance, they are responsible for meeting the requirements outside den meeting times. This is patterned after the merit badge and advancement process in a Boy Scout Troop. The activities, themselves, are designed to appeal more to the older boy and are patterned after Boy Scout merit badge requirements. It is in Webelos that world of outdoor Scouting begins to open up. With their parents, the Webelos are able to camp and go on other outdoor activities with their den and with Boy Scout Troops. 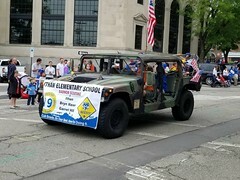 They also may participate in Boy Scout Troop meetings and other Scouting events. In short, Webelos Scouting is the transitional program between Cub Scouting and Boy Scouting. Webelos are still under the direction of the Cubmaster, but hold their own activities and do many things too advanced for younger boys. 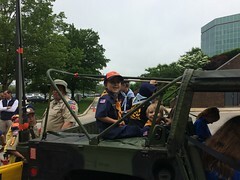 At the end of the Webelos program, the Scouts truly have a taste for what Boy Scouting is all about and have a head start in proceeding through the Boy Scout program. Webelos Requirements As with all Cub Scout ranks, you must first earn the Bobcat Badge to be eligible to work for this award.